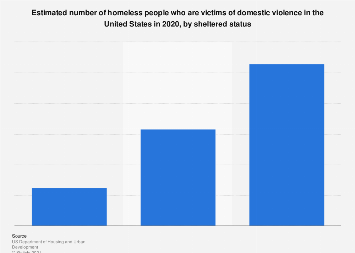 A recent study by the United Nations Office on Drugs and Crime found that 50,000 women across the world were killed by intimate partners or family members last year, equating to 1.3 per 100,000 women. 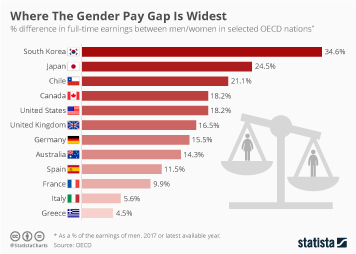 That rate was highest in Africa at 3.1 per 100,000, followed by 1.6 in the Americas, 1.3 in Oceania, 0.9 in Asia and 0.7 in Europe. 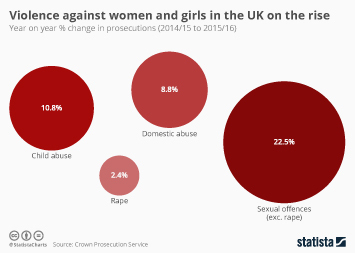 Taking a closer look at Europe, Eurostat also maintains figures on the number of women murdered by intimate partners each year. 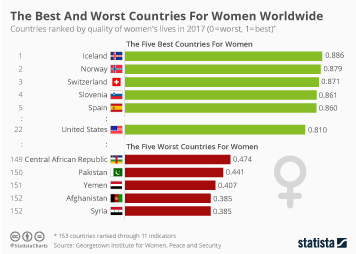 Unfortunately, data is not available for all countries but the figures are interesting nonetheless. 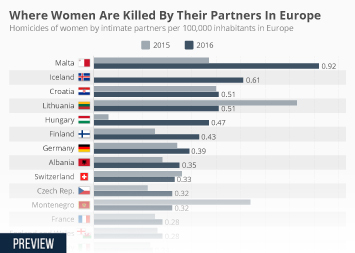 Malta has the highest rate of homicides of women by partners per 100,000 inhabitants at 0.92, followed by Iceland (0.61) and Croatia (0.51). 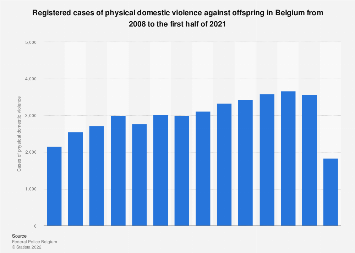 This chart shows homicides of women by intimate partners per 100,000 inhabitants in Europe.